JobPro Central shipping and dispatch module streamlines the process of planning, shipping and tracking orders. Generate shipping & dispatch delivery dockets and track deliveries from this module. 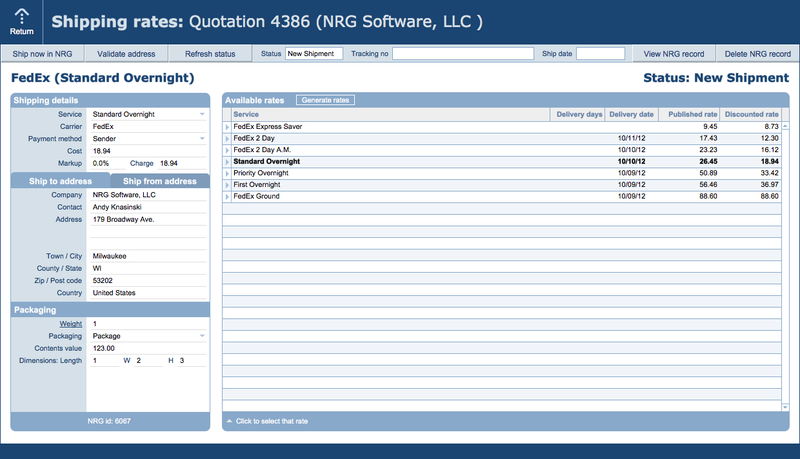 Multiple shipping records can be created for a sales order using the part invoice/ship function. Stock quantities automatically updated based on products dispatched. 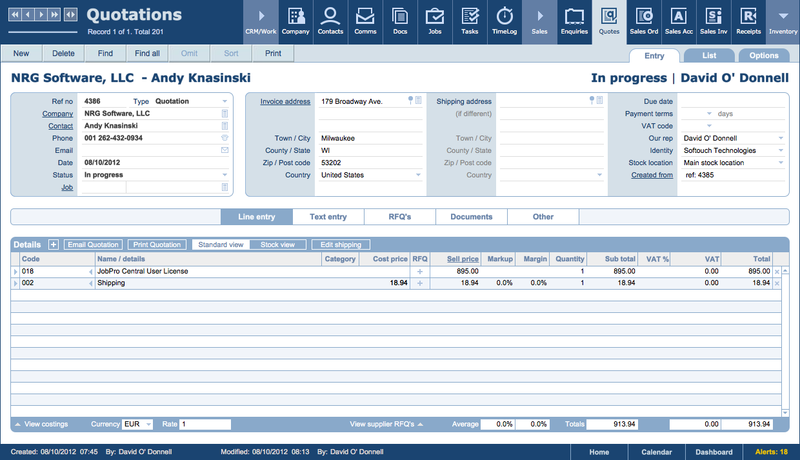 Invoices can be created from a shipping record. This module is linked to the Product, Jobs/Projects, Sales Orders and Contacts modules. Line items for shipping can be entered from the product library or entered as text for ad hoc items. Shipping dockets can be printed or emailed (as a PDF) in multiple languages. There are various reporting options available. An optional extra for your JobPro Central installation is our FileMaker NRG shipping integration which can integrate with carriers like UPS, USPS and FedEx. Choose your carrier, set the billing account, select a service, and your done! Weighing, address verification and label generation are all automatic. If you need to automate your shipping there is no easier way! See our separate shipping page here. Further customisation of this module available on request. An optional extra for JobPro is our FileMaker NRG shipping integration which can integrate with carriers like UPS, USPS and FedEx. Choose your carrier, set the billing account, select a service, and you’re done! Weighing, address verification and label generation are all automatic. If you need to automate your shipping there is no easier way! Contact Us for more information and pricing on our shipping integration option.